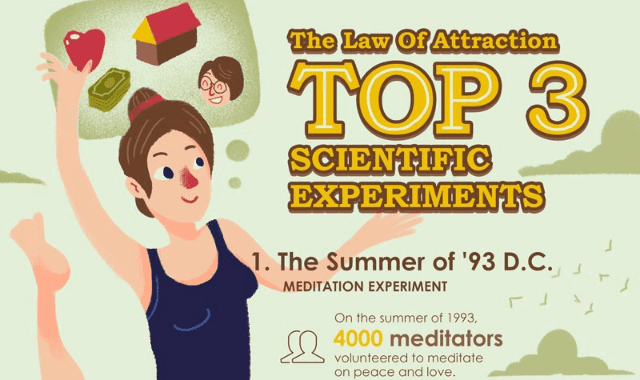 Top 3 Scientific Law Of Attraction Experiments #Infographic ~ Visualistan '+g+"
Like attracts like. The Law of Attraction is a universal principle and says that everything in our universe tends to migrate towards similar "things". Inviting anything you want into your life, simply by changing your thoughts and words seems be unbelievable. This is why we prepared an infographic about the Law of Attraction, that talks about the 3 most famous experiments, that demonstrate the Law of Attraction's effecitveness.